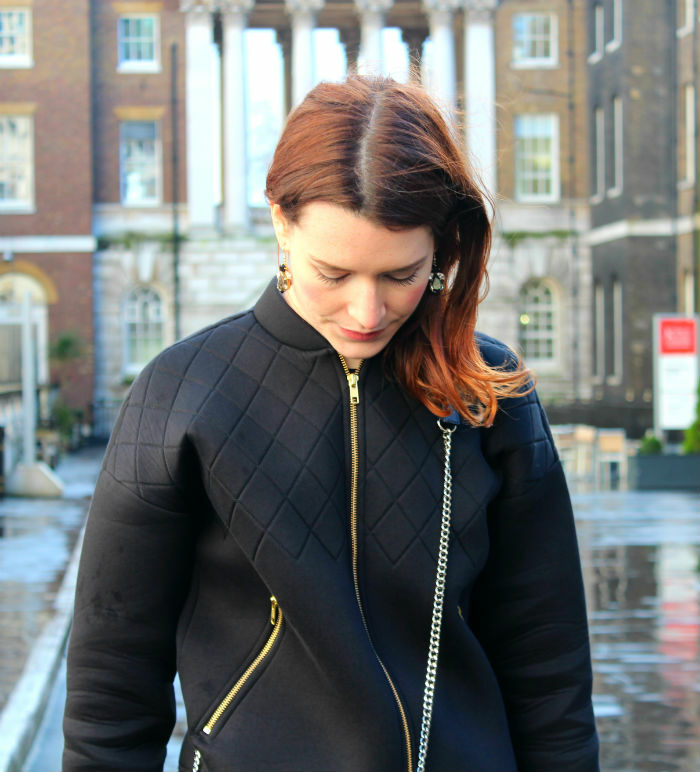 Never one to sacrifice comfort over style (I have an aversion to being cold) I chose to wear my brand new & other stories neoprene bomber jacket which turned out to be super-practical: both warm and weather-proof. I am really pleased with this recent purchase; the thick neoprene fabric, gold hardware and soft sculpted shoulders have a designer feel that belie the £65 price tag. Available online here. 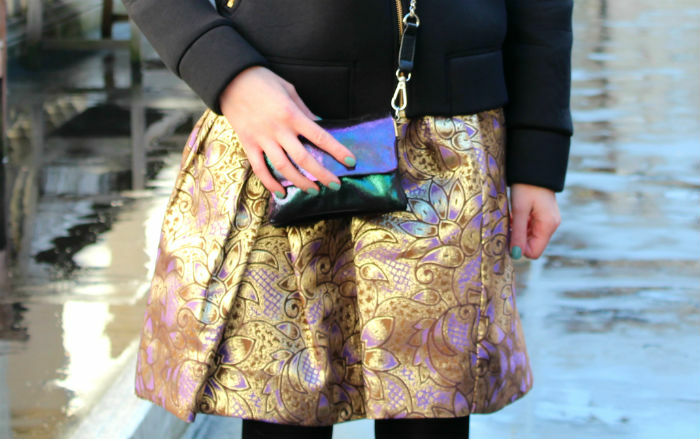 You have seen this gold brocade skirt before, no doubt. It's from the Marni x H&M 2012 collaboration - I still wear mine all the time. I accessorised the outfit with my black flat AW13 boots from Next, ideal for running between the shows. My iridescent mini bag is Kurt Geiger (a canvas tote bag full of junk is out of shot) and the earrings, a Christmas present from my boyfriend, are by one of my favourite jewellery designers, Anton Heunis. So pretty much all past season, but I have put together a similar look below. 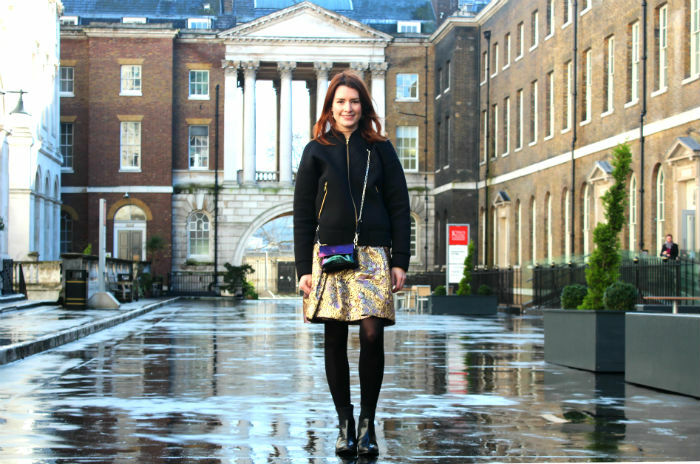 Loads more LFW coming up on the blog, keep following for my show highlights. Thanks for the pictures, Katie!